We found this success story from the hairlosstalk forum and decided to share the story here. Because the hair loss treatment he used is easily available and above all, doesn’t cost much. To sum it up, he experienced hair re-growth after applying aloe vera gel once a day and washing his hair with 2% Ketoconazole shampoo three times a week. Unfortunately, some of the photos he originally posted are no longer available on the forum. However, by reading thread replies from those who saw all of the progress photos originally, the treatment was a success. Here are more details about two items he used for his hair loss treatment as well as where to find each item. For Aloe Vera, he used the actual gel from Aloe Vera plants. Certain grocery stores such as WholeFoods sell Aloe Vera by the leaf. If you can’t find it at your local store, you can also buy whole aloe plants from places like Home Depot. Cut the leaf into smaller pieces (1-2 inches) using a sharp knife and keep them in the refrigerator. Worse case, you can buy pure aloe gel products, but they may not have the main active ingredient that helped him grow his hair back. He applied the gel before he went to bed each night and washed his hair in the morning. Ketoconazole is a medical ingredient that prevents the growth of fungal cells. It is an FDA-approved medication and depending on the dosage, you can either get it from over the counter or by prescription (if you need stronger dosages). In his case, he used a Keto 2% shampoo three times a week. A variety of brands offer shampoo with Ketoconazole. A popular brand that everyone is probably familiar with is the Nizoral shampoo. The over-the-counter (OTC) version of Nizoral contains 1% of Ketoconazole. Another brand that manufactures shampoos with Ketoconazole inside is Renepure. The Renepure DR shampoo is a more enhanced version of Nizoral shampoo. They removed harsh chemicals from the formula such as SLS and infused it with hair stimulating ingredients such as Saw Palmetto, emu oil, and caffeine. YES on treating general hair loss: In the same thread, another guy shared a separate success story with Aloe Vera. He started losing hair in his early 20 starting in his temple area. His attempts trying various treatments (Minoxidil, etc.) didn’t do much to control his shedding hair. But when he tried the aloe vera gel on his scalp for about two months, he noticed decent hair growth approximating 10-15%. YES on treating Alopecia Areata: In this forum, he talks about how Aloe Vera has helped him to regrow hair in his bald spots. After applying the Aloe gel to the affected areas for five to six months, he said that fine hairs were filling in those spots. 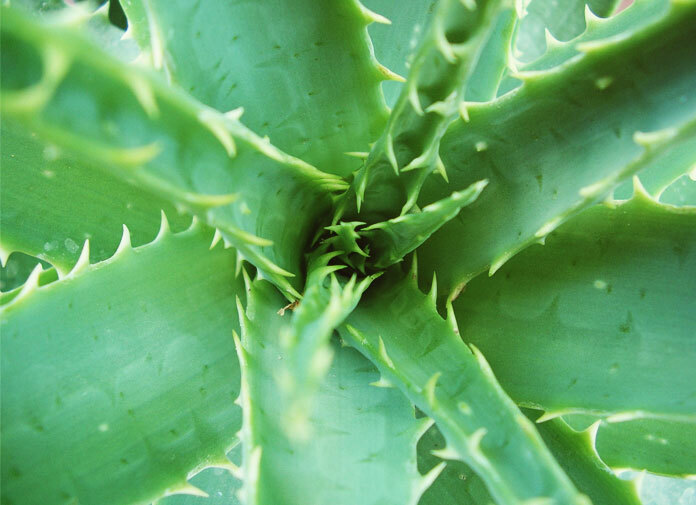 Have you tried Aloe Vera or a combination of both to promote hair growth?